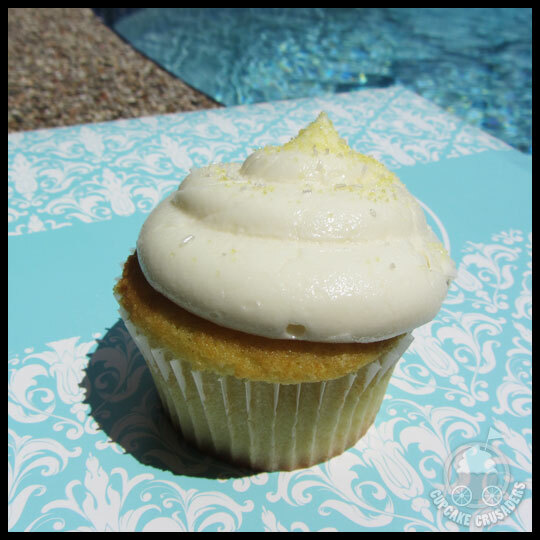 Now that I have a decent grasp on the Fort Myers and Naples area cupcake spots, I wasn’t worried about whether or not cupcakes would be a part of my trip when I recently visited my family in southwest Florida. Since I was staying with my Nana, and I know how much of a sweet tooth she has (ever wondered where I get it from? 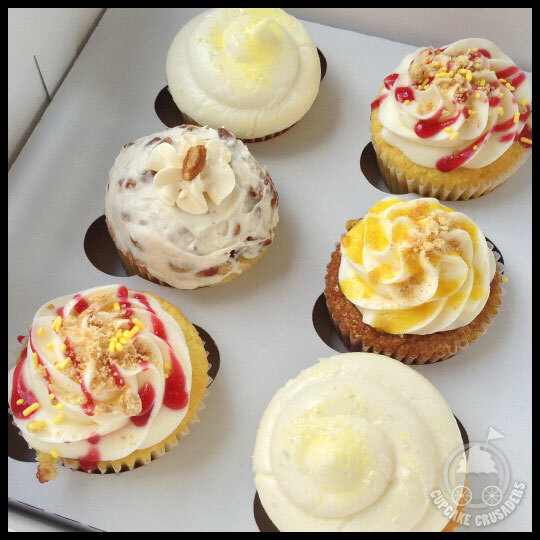 ), I wanted to get some fancy cupcakes to say thank you and to put a smile on her face. After treating her to lunch at one of our favorite spots, Sweet Tomatoes, my aunts, cousin, and I decided to do a little shopping. 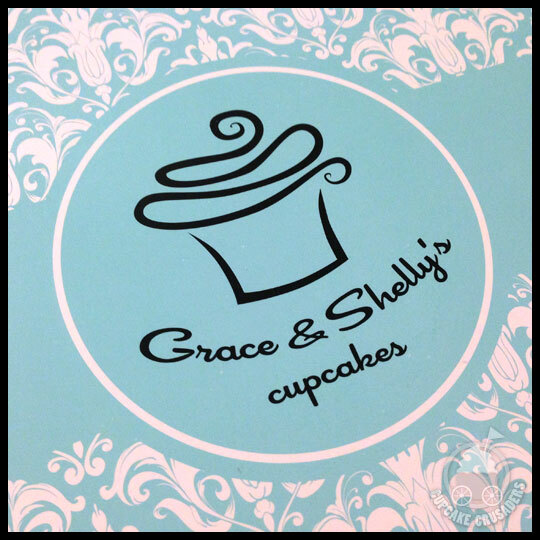 My Aunt Jane wanted to visit a boutique located in the Bell Tower Shops, and I was in luck because Grace & Shelly’s Cupcakes also resides there. On my last visit to Grace & Shelly’s, Crusader Jenn and I selected a big variety, including a couple of full size cupcakes and tons of minis. This time I focused on just the full size flavors and selected Lemon, Raspberry Lemon Cheesecake, Butter Pecan, and Peach Cobbler. My Aunts also got a variety of flavors, and Aunt Jane added her two selections to my order since you save a little bit with orders of half a dozen. When we got back to Nana’s house, we worked off our big lunch with some pool-time, and then took a quick cupcake break. My cousin, Allen, joined Aunt Jane, Nana and I for this cupcake tasting and, for the most part, we were unanimous in our feelings (except my sweet Nana, who loved them all). Of the four cupcakes I selected, this was the best of them all. The cake and frosting were both light and tart. And even though the frosting didn’t hold up too well in the Florida heat (as you can tell from the photo), it didn’t make this cupcake any less tasty. I was really excited about this cupcake, only to be disappointed. My Aunt Jane didn’t think that it was sweet enough, and also didn’t like the bits of raspberry seeds. That didn’t bother me too much, but the cake ended up being very squishy because of the filling. As you can see, the filling soaked almost all the way through to the wrapper. Gross. 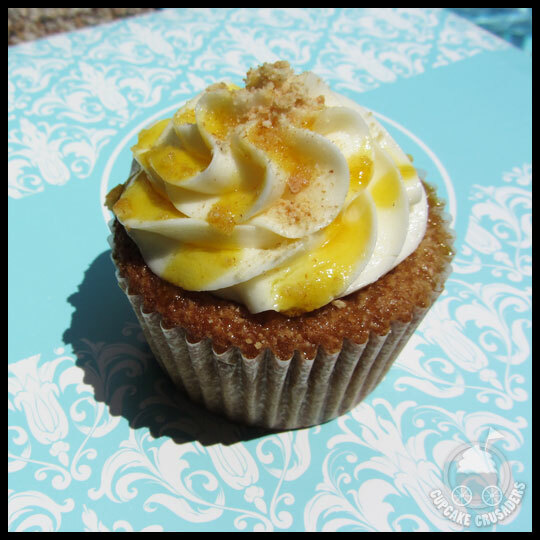 The Peach Cobbler cupcake was very much the same. So much so, that I just couldn’t finish it. Luckily Nana didn’t mind because I choose this cupcake specifically for her and she ended up finishing my portion. Even though the cake wasn’t working for me, I did like the frosting and toppings, but what is a cupcake without cake?! Of all the cupcakes, I thought the presentation of this one was the best. I really liked that it looked like a scoop of butter pecan ice cream had been dropped on top. Unlike the Lemon cupcake though, the cake was dry and kind of plain. 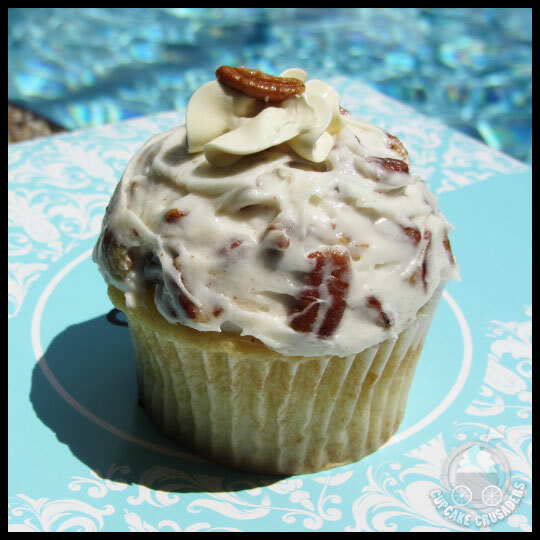 But the frosting was good and packed with pecans. My Aunt Susan didn’t join us for our post-swim cupcake crusading, but later that night we had another little cupcake tasting at her house with some of the cupcakes she brought home. 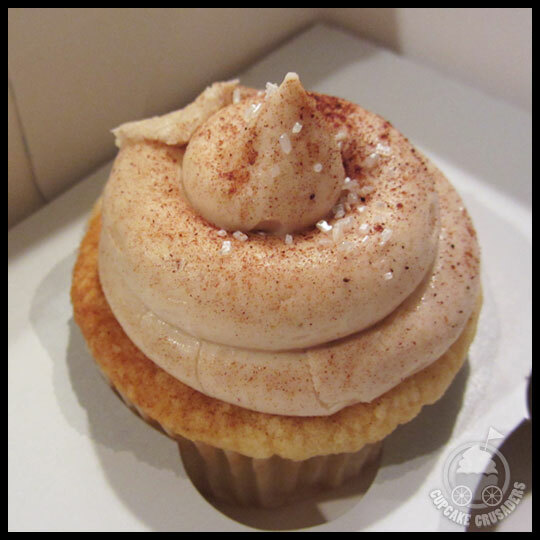 The first that I tried was the Snickerdoodle. 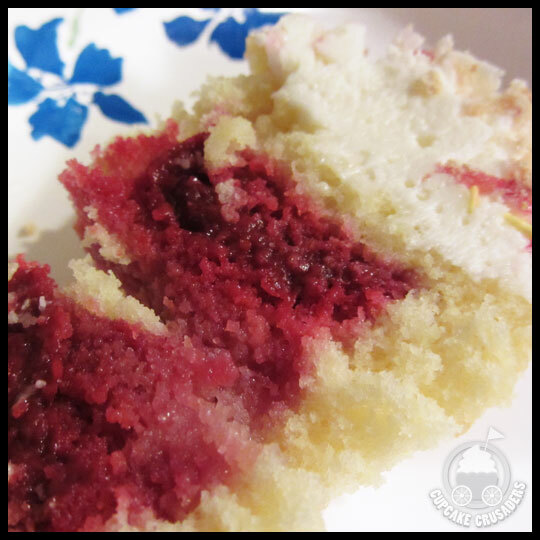 While the cake was a little dry, the frosting was so good and had lots of cinnamon flavor. 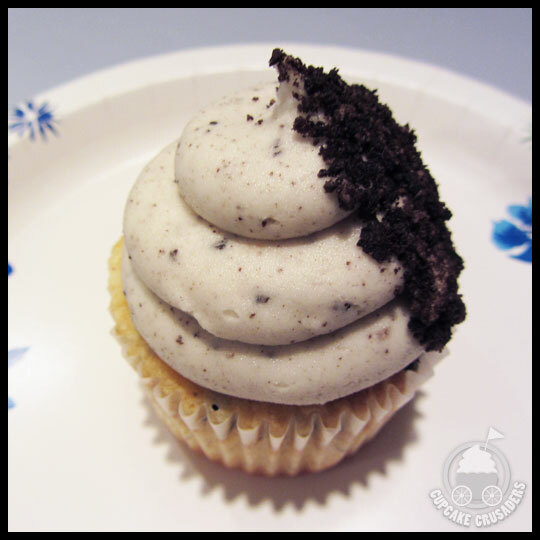 The other cupcake I tasted at my Aunt Susan’s house was the Cookies and Cream. This cupcake had little cookie bits in the cake and frosting and tasted JUST like the ice cream, it was amazing! Even if the cupcakes weren’t as good as I remembered them being, it was so fun doing my “cupcake thing” with my family. And I’ll never forget seeing my Nana scrape those wrappers clean… that woman has a crazy sweet tooth, you gotta love her! 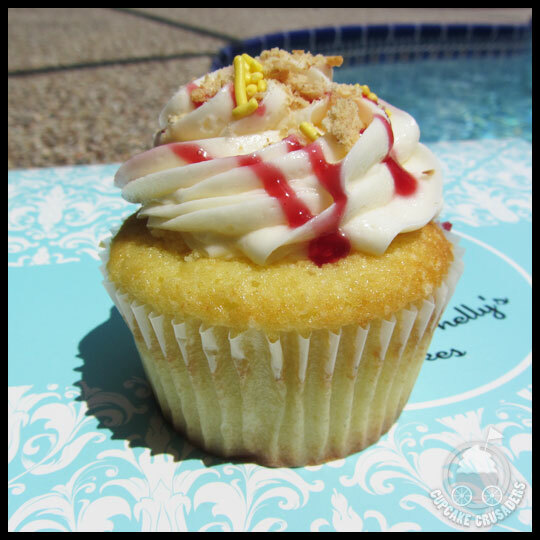 This entry was posted in Cupcakes, Florida and tagged Cupcake, Florida, Fort Myers, Grace & Shelly's by Stacy. Bookmark the permalink.